Cute things come in short packages. 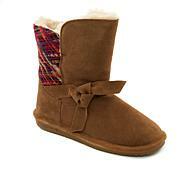 This ankle boot keeps feet warm and calves uncovered, so it works beautifully with all your favorite jeans. Love this boot so lite weight. 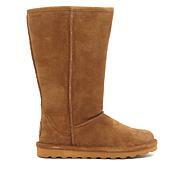 My hubby liked it so that he got a pair off Bearpaw web site. Just note you need to go up a size and they are nice and warm. 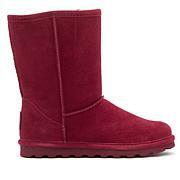 I have a fused ankle and it is hard for me to find a pair of boots that my foot can get into since I can not move it. I have to wear a size bigger and a wide shoe. The only way I can wear them is to take the insert out. It takes a little effort to get on but I can. 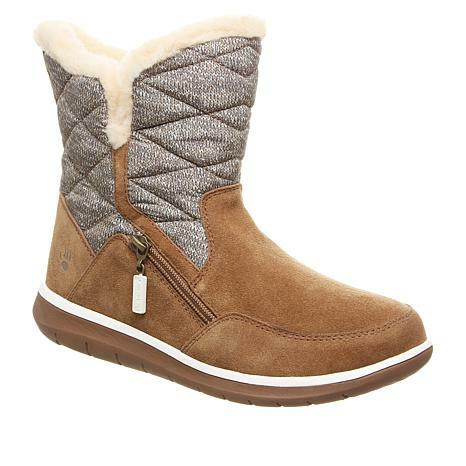 Have purchased Bearpaw in the past and they fit great, but these run narrow and tight on my daughter, even after sizing up. Sadly they will be returned for a refund because I dont want to chance that a different style wont also not be true to size.